To those who knew him, Edward Sill was an inspiration. To his family, he will forever be a pillar of strength and faith. This is the story of an ordinary boy who grew from humble beginnings into an extraordinary man. Diagnosed with polio as a child and cancer as an adult, Edward Sill spent his life inspiring others. Battling illness even while mentoring troubled children and coaching baseball, he always looked on the bright side of life. 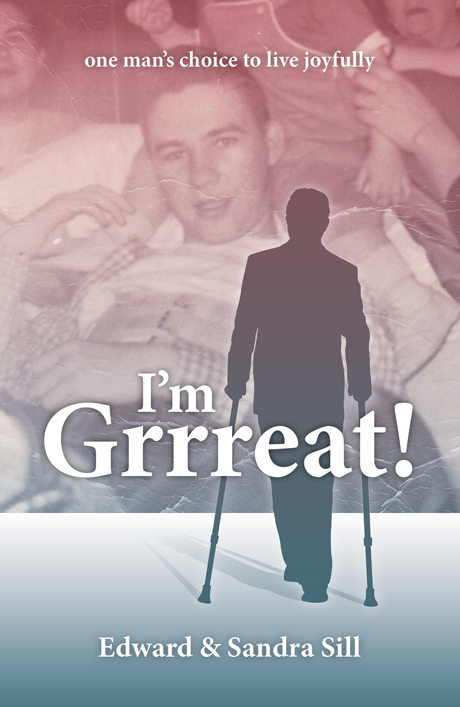 His motto was simple: “I’m grrreat!” Ed’s legacy is fondly remembered in this book that he began and his loving wife Sandra completed. Edward Sill grew up in Albany NY. Stricken with polio as a teenager, he endured the illness with great inner strength and a positive outlook that would remain with him for the rest of his life. He met Sandra on her sixteenth birthday and the two were married in 1961. They raised a family and ultimately moved to southeastern Pennsylvania. After a long battle with cancer, Ed passed away in 2006. “It’s hard to put into words… a lifetime of great memories. I believe God knew he was a special person.” —Art H.
“I learned a lot from Ed about being a good person, being a father, and being a friend. If at the end of my life I can become half the man that Ed was, I’ll be a better man than most.” —Joe B. “…it was you Mr. Sill, who made me want to have more in life than just being another kid from the streets.” —Frank F.